Another photo of SYT's 2214 / NKU214X, as a special. Hi Marcel, did you get a picture of the vehicle behind(NAG116G)? The Coacharma Model Railway bus? 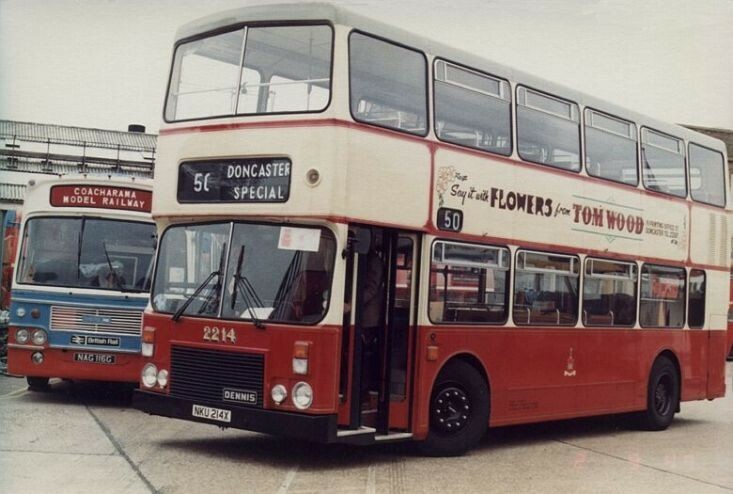 Added by Chris Hall 500 Group Teesside UK on 12 February 2013. Hi Chris, no sorry it's not in Jim's series. Added by Marcel Gommers on 20 February 2013.